Q: Should I interview experts BEFORE I query a magazine or wait to see if the article is assigned? A: As a full-time freelance writer, I’ve learned that time is money. With that said, my personal preference is to NOT interview any experts until I know I’ve got a paid assignment. What I do recommend, however, is that you LINE UP interviews before you query a magazine. 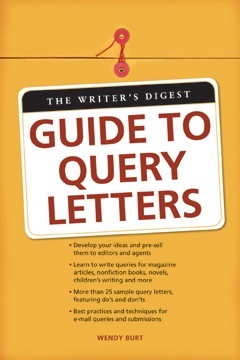 You’ll need to clearly explain to potential interviewees that you’re pitching an idea to a magazine with no guarantee that the piece will be assigned, but that you’d like to cite them as your experts in your query letter. Two exceptions to the rule: 1) If a fabulous opportunity arises to interview someone (e.g. a celebrity or a famous anthropologist who’s about to embark on a 6-month African safari), interview them while you can; and 2) If you’re not sure that your expert is the right source for your article, do a pre-interview scouting session. Q: I’m thinking new publications might be an untapped resource for freelance writers. Where can I find out about magazine launches? www.MrMagazine.com. Samir Husni is probably the leader on what’s new in the publishing world. He also interviews editors and publishers so you get a behind-the-scenes view of what’s going on at certain magazines. He also has a blog that is updated much more regularly than his website. http://www.minonline.com Min Magazine and Min Online are dedicated to leaders and branding experts in the magazine industry. Although access to some material is limited, you can view quite a bit about magazine launches for free. http://crazedlist.org This site allows you to search ALL cities on CraigsList.org at once. Do a search for “new magazine” in the “jobs” section. Sometimes the ads will be for salespeople, but that doesn’t mean you can’t track down the publication with a Google search and pitch a query. Q: What is the difference between writing for print vs. online publications? A: The main difference is in the rights that you’ll be selling. When you write for online publications (e.g. Salon.com), you’re selling electronic rights (often referred to as “e-rights”). This can make it more difficult for you to resell that article to larger print publications because they view it as work that is already accessible to…well, the world! For the most part, larger consumer magazines want to purchase AT LEAST First North American Serial Rights (meaning they’re the first to print it in North America) or First World Rights (first to print it in the world). In addition, many large print publications now have their own online version that uses many if not all of the same articles. In other words, a print publication like Men’s Health that wants to buy your article on “Why Your Heart Loves Dark Chocolate” also wants to run the article on its website. Men’s Health is paying you $1/word because they want ALL rights: First World Rights, electronic rights, reprint rights and the rights to OWN your article. Smaller-circulation magazines and newspapers (such as local, regional and trade), however, may not have online versions of their publications. This means that you’re likely only being asked for one-time or regionally exclusive rights (i.e.,”don’t sell to any other publications in Boston”). So you could sell the same article (at say, $100 each) to a 55+ newspaper in Houston, New York City, Boca Raton and Atlanta while still retaining ownership of the article. Selling to online publications and websites is fine; just make sure the money is worth it. Once your piece is on the Web, it may be more difficult to resell. Q: I’ve been trying to get a book deal but keep getting ‘near-misses.’ Can you interpret some of these rejections? Translation: We’re a small publishing house with no budget to promote you and you didn’t convince us that you’ve got a way to do it yourself. Translation: We don’t feel you’re qualified to tackle this subject. Translation: We liked your original idea/sample chapters, but the book didn’t hold my interest. Translation: This is a good piece of writing and even though it’s not a match for us, I’m willing to refer you to someone else. Q: I was assigned an article for a national magazine. I turned in the piece and got paid, but then the magazine folded. Can I resell the article? A: I’m assuming from your question that you sold “all rights” (as opposed to reprint rights, in which case you wouldn’t need to ask this question). Based on that assumption, you’ll have to look at your contract to see if you sold the rights to the magazine or the publisher. One publisher could own several magazines (or several hundred! ), so a contract with a publisher that is still in existence is still a good contract. A contract with a magazine that no longer exists, however, means there’s no entity left to own the rights to publish your work. (With that said, I’m no contracts attorney, so when in doubt, try to reach your former editor to ask.) Even if you did sell it to the publisher, you may be able to get permission to resell the piece if it was never printed in the magazine. Ask Wendy: How much do publications pay? Q: I can’t always find writer’s guidelines. Is there a way to estimate how much a publication pays writers? A: Although no advice is foolproof, I can tell you some tricks I’ve learned along the way from BOTH sides of the fence-as a freelance writer and as an editor of magazines and newspapers. 1. Look at the type of paper used. Generally, newsprint is going to pay less- maybe $.10/word. The thicker the paper, the more the publication will pay. You’ll also want to look at the finish; is it matte or glossy? (Think about when you process your family photos.) Glossy paper is more expensive so generally a glossy print magazine will pay more. Also, is the publication black and white or color? Color is much more expensive to produce, implying there’s a bigger budget to pay writers. 2. Look inside for the circulation. The general rule of thumb is that the larger the circulation, the more money they can pay writers. However, sometimes you’ll find niche publications with a smaller circulation (e.g. something mailed only to 5,000 plastic surgeons in the region) that will pay writers relatively well. 3. Look at the ads. If you see ads for cosmetic dentistry, Botox, boutique jewelry stores and high-end artwork, they probably have good pay rates. That’s because almost all publications (except nonprofit mags) are supported by advertising revenue. And the more disposable income the reader has, the more money the publication can make selling space to businesses that can afford to shell out big bucks to advertise. Writers usually get paid more with the trickle down effect.